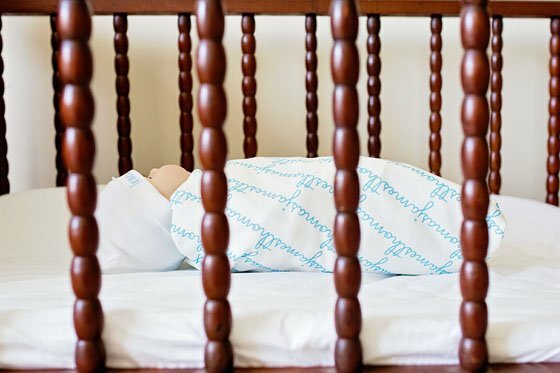 Long gone are the days of baby registries that consisted of a stroller, a bassinet and some simple swaddles. Today, baby gear is innovative, modern and designed with a focus on quality, practicality, functionality, safety and style. And while it’s practical to receive a mountain of diapers at your baby shower, chances are they might not be the kind you plan on using for your baby. You might also find yourself swimming in piles of adorable newborn onesies or baby birthday outfit, but what happens after your little one outgrows them in a month? While they can be a practical way to get an idea of the basic things you might need for your new baby, many general baby registry lists are actually generated by stores, limiting the list to items that can only be purchased in those specific stores. Here at Daily Mom, we pride ourselves on finding the best of the best when it comes to our kids. 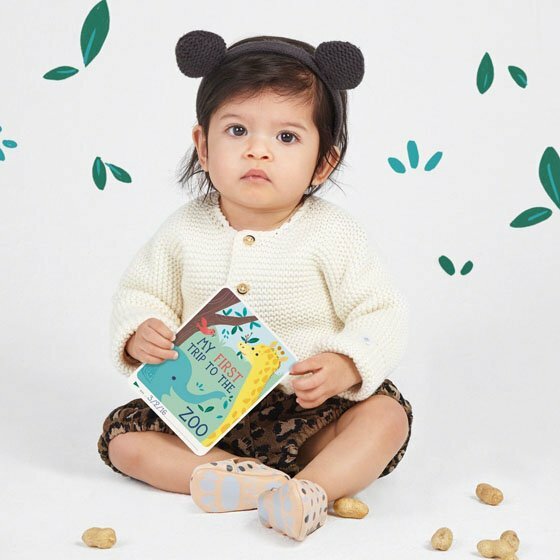 We’ve scoured the market and researched the top brands, and have compiled the ultimate list of the most unique, state-of-the-art and modern baby items. Trust us… this is not your mama’s baby registry! 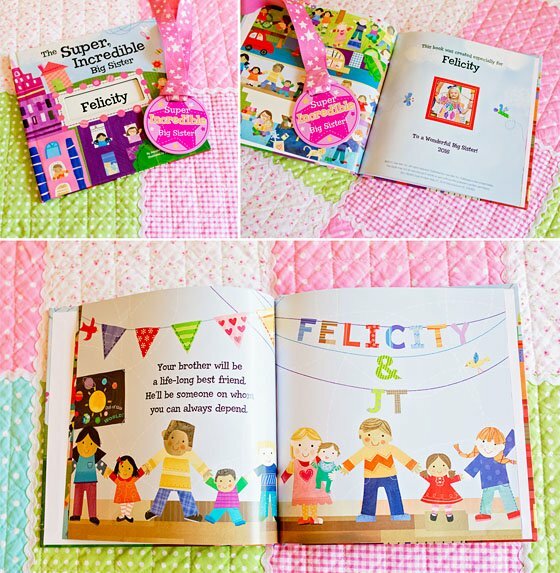 Personalized New Baby and Big Sibling Books by i See Me! If you’ve spent any time studying baby registries, then a video monitor is likely on your radar; and while this gift may seem like an item you’ve already got covered, we’ve found that the zooby Car and Home Baby Monitor is much more than every other video monitor on the market. Unlike many other video monitors, zooby is designed to be as mobile as you are. 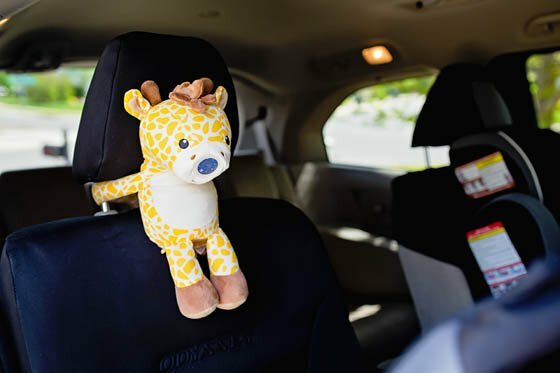 Whether you’re at home, in the car or visiting grandparents, you can easily bring zooby along. We specifically love zooby as an alternative to mirrors that are often used to help parents keep an eye on their baby while driving. This unique monitor allows parents to safely drive by reducing the need to turn around while driving. With a large 4.3″ split screen, you can view 2 rear-facing infants in the back seat of the car (or an infant and forward-facing toddler). Considering that so many of us drive mini-vans or SUVs, having a monitor that can provide a closer point-of-view than our rear-view mirror can provide is not only useful, but much safer than turning around to check on our babes. The monitoring unit is a digital video monitor that easily attaches to the dashboard window of any vehicle, with a convenient car adapter charger for on-the-go recharging. 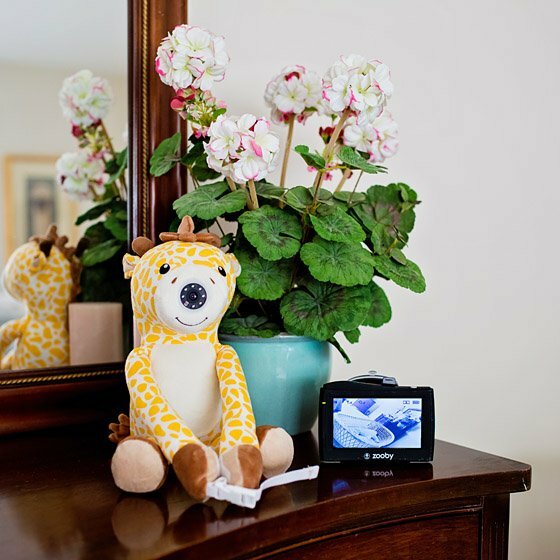 Meanwhile, a camera is installed in a soft plush that can be secured in various locations (much like a nanny cam – seen here as Jordan the Giraffe). It’s the perfect video monitor for any parent that wants a monitor that does it all. Zooby does just that and brings the addition of peace of mind, security and confidence. Infanttech, based in Montebello, California, was founded in June 2012 by Giuseppe and Lizette Veneziano (parents with infants and toddlers of their own) with the commitment to keep babies safer while making parent’s lives easier. They founded Infanttech to put together the best technology with fun, comfort, and love in the development of new products for the safety of our kids. Infanttech is dedicated to creating solutions to everyday parent/baby problems with care, passion, vision, creativity and experience. 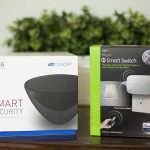 If you still need a baby monitor for inside the home, here is a great guide for finding the best baby monitor. Baby registries are often loaded with items you’ll use a lot in the first few months with your baby, but 6 months down the line, you can end up feeling like you need to buy a boat load of new items to keep your baby occupied. We recommend picking out a few registry items that will carry your baby from the newborn stage and beyond. Enter Tnee’s teepees! 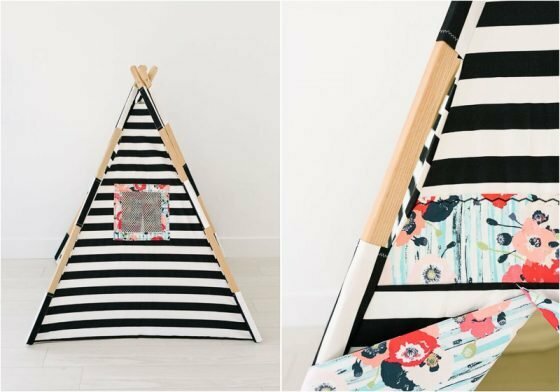 These stunning, handmade, and unique teepees make the absolute perfect addition to your baby’s nursery, and give the nursery a truly unique and whimsical feel. 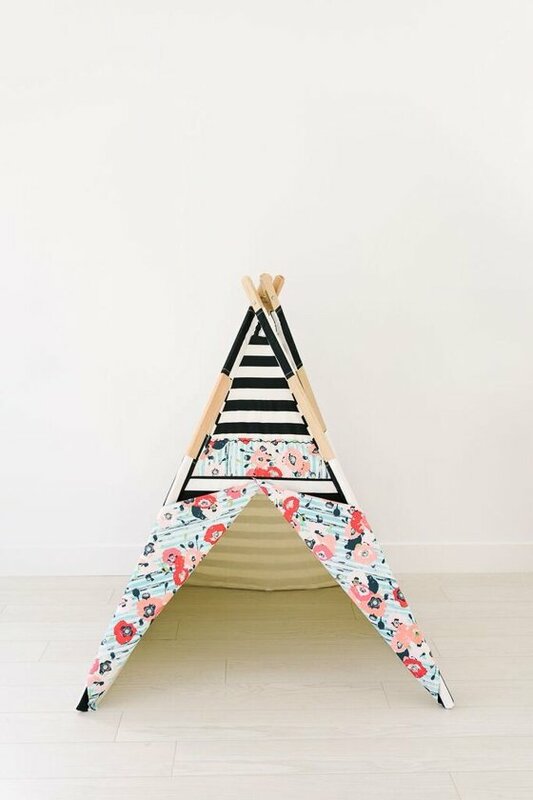 Your baby’s Tnee’s teepee will be the showcase piece of the nursery, and is an incredible backdrop for your monthly photo shoots throughout baby’s first year (picture how cute he/she will look wearing a monthly sticker on a onesie, underneath this gorgeous teepee!). This is an item that will really grow with your child – your baby can play inside this little shelter from infancy (think: tummy time, shape sorting, stacking, and more), through toddlerhood (it’s a great hiding spot for hide and go seek), and beyond (older children will love escaping from the world and cozying up with a good book). Tnee’s teepees foster creative and imaginative play, while giving your baby a safe place to call their own. 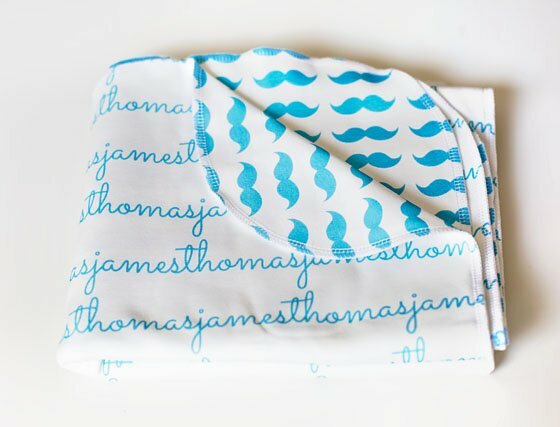 Tnee’s offers an incredibly extensive array of 100% cotton fabrics and patterns, as well as custom designs, so you can be sure to find a teepee that matches your nursery decor to a Tee (pee!). Each handmade teepee is incredibly easy to set up (take a peek at this quick video if you don’t believe us! ), as they arrive fully assembled and ready to go. The front features two flaps that open and close easily, and the back has a mesh window for added light and fresh air. 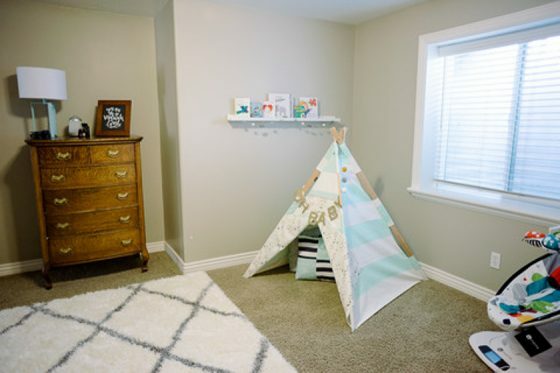 Tnee’s Teepees is the brainchild of a mom who saw her little ones constantly making forts and shelters in her home, using chairs, blankets, pillows, etc., which all had to be taken apart and put away at the end of a busy day of play. She wanted to create a more permanent fort, yet something that was stylish enough to blend in with any home’s decor, and thus Tnee’s Teepees was born. Tnee’s is dedicated to creating artfully designed teepees that will delight both babies, children, and their parents, for years to come. 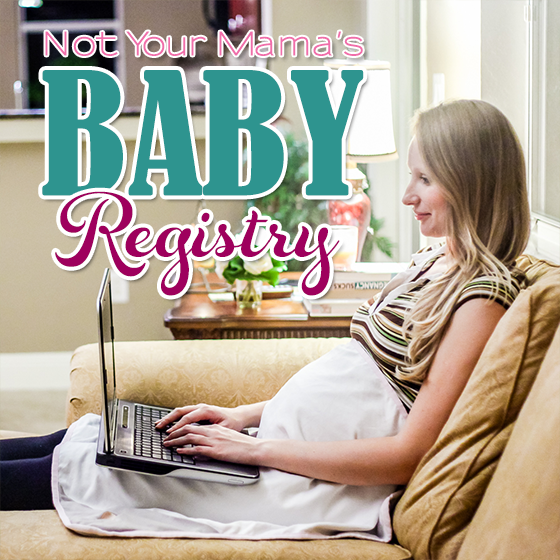 When creating a registry, it’s important to think beyond the newborn stage. When your little one starts to explore the world with tummy time, it’s important to make sure your baby is on a flat surface without any blankets underneath her that can become a hazard to her ability to breathe. This is why we love the play mat from Lollaland, offering the perfectly padded spot for baby to grow, roll, crawl, and eventually tumble without any fear. When your baby begins tummy time around 3-4 months of age, finding the perfect spot to lay her down other than the floor can be difficult. Lollaland makes it easy for parents to provide a safe, comfortable, and playful spot for your baby, as well as yourself. With a 6.2 ft x 4.3 ft play mat, both you and your baby can grab a comfy seat to build upon important muscles such as the neck and shoulders during tummy time, and as baby grows, developing the tools necessary to roll, scoot, crawl, and much more! The mat can even be used beyond infancy and into the toddler years as a fun mat for children to learn to jump, tumble, and flip around. 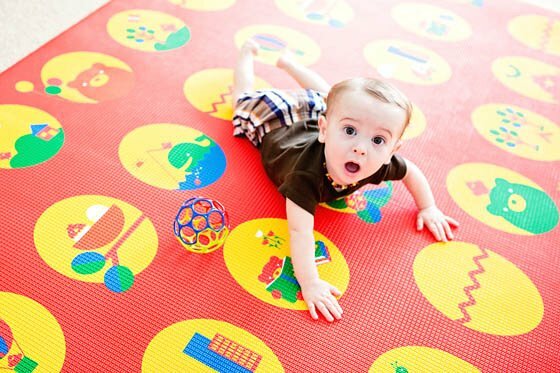 Unlike traditional play mats, the Lollaland play mat is made of durable, multiple foam layers perfect for catching minor bumps or falls. Featuring dual sided designs, the play mat can serve as a fun spot for play on one side with many whimsical scenes for your child to explore, and with just a flip of the mat, a beautiful scrolling design is the perfect addition to your nursery floor. From a design stand-point, the mat is a must on our registry, but we cannot overlook its amazing functionality as well. 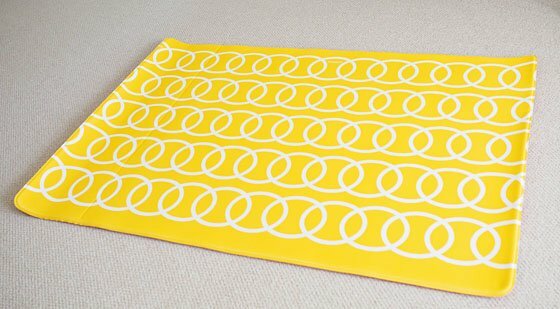 Another bonus for parents is that this mat is waterproof, so any spills (or a little spit up) can be cleaned with a simple wipe of the mat. As baby begins to learn to walk, the textured, non-slip surface provides a prime spot for baby to attempt those first steps without any fear of a hard landing. 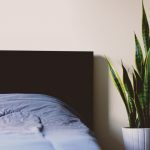 And if chemicals are a concern for you, the mat is made with high-quality, non-toxic, and environmentally-friendly materials — also made without any heavy metals, endocrine disruptors, or formaldehydes. Throw in a few fun toys and mark this mat off as one of your must-have registry items! 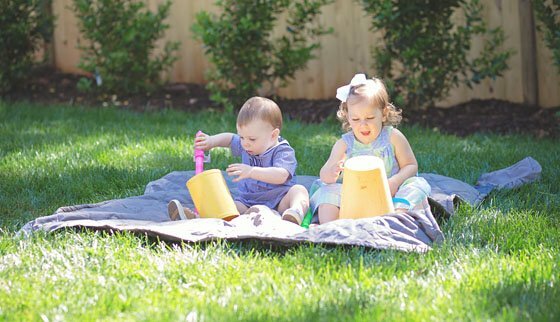 Since their day of being featured on ABC’s Shark Tank for their innovative sippy cup design (the Lollacup), Lollaland has made it a mission to create fun, innovative, and modern products for infants and toddlers. Always aware of environmental and health hazards, Lollaland makes sure that their products are toxin-free and made in the USA or Germany. Easing worries and making life practical, Lollaland makes life happy for both parent and child. Bath time is an important part of bonding with your infant, and if you’ve already started creating your registry, you have probably noticed the large amount of infant bath items available on the market today. Some help to make bathing a newborn easier, while others offer a growing infant safety and fun. Unlike traditional infant baths and bath items, Puj has implemented simplicity, function, and style into their bath products that every modern parent will love. For starters, their well-known Puj Tub tops the list of best picks of baby registry items because of its incredibly sensible design. Made of a soft foam, the Puj Tub molds to baby in the bathroom sink, offering the perfect cradling position for bathing. Once bath time is over, the mold and mildew resistant Puj Tub flattens back to its normal state and can be stored or hidden away with ease. 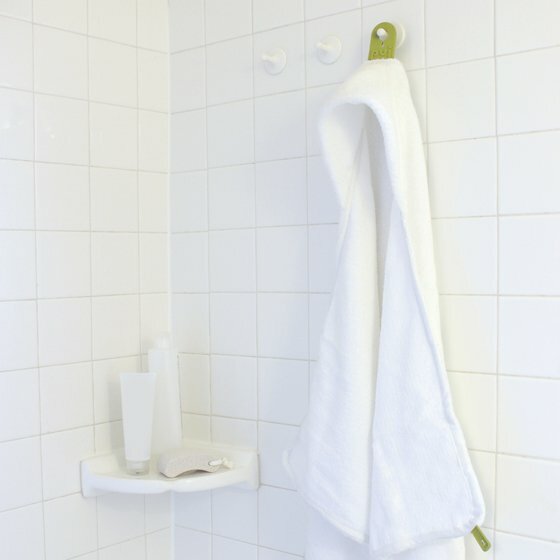 Another great Puj bath product that ensures safety and fun in the tub is the Puj Snug Spout Cover. Resembling an adorable elephant, the super soft and stretchy spout cover fits snugly over any bath faucet to keep baby safe while playing. 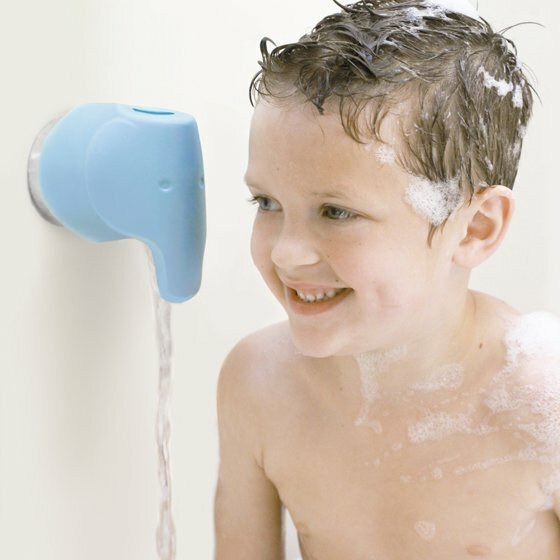 Your child will not only love the fun design, but you will also love knowing that it is mildew resistant, BPA and PVC free, as well as incredibly functional, allowing water to flow through the faucet freely and still giving the parent access to the shower diverter. While continuing to keep bath time safe, be sure to add the Puj Bath Treads to your registry! These six bright, multi-colored grippy treads can be placed along the bottom of your bathtub to prevent slips and falls. Extra bonus: the treads can also be placed outside of the tub to prevent slips when climbing out. Not only are the treads easy to install and clean, but they are also easy to take off while promising not to damage your tub or floor. The Puj Flyte fits comfortably in most countertop and pedestal-style sinks, wrapping the baby in an upright position, and lessening the burden on parents (no more bending down!). With such an incredible value, the gift set is the perfect registry addition for any new mom, easing the anxiety of bath time and allowing that special moment of baby’s first bath to be enjoyed by all. Puj was founded by a husband and wife design team with one simple goal: make parenting easier. Starting with the infant bath tub, the Puj Tub was created so that parents no longer needed to kneel or bend over to bathe their babies, and by using a simple foam material that’s easy to store, over-sized infant baths became a thing of the past. Since their success among other like-minded parents, they have continued to provide many new products for bathing and raising kids in its simplest form. 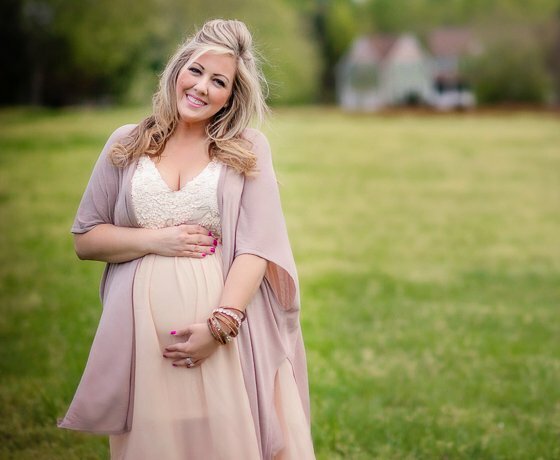 Many parents will find out the gender of their baby months before their due date, and for many, a name soon follows. 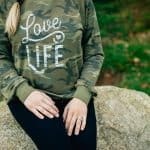 This information is often passed along to friends and family who might be interested in monogramming or personalizing gifts for the new baby and mom-to-be. We are huge fans of personalizing baby gifts with the baby’s name, and especially love gifting a personalized blanket with his or her name all over it. This personalized double-sided baby name blanket by Jennifer Ann measures 40 inches x 30 inches, and is perfect for newborns, infants and children. While baby may quickly outgrow their clothes, this sweet blanket has the potential to last a child many years. It’s great as a swaddling blanket, tummy time blanket, a car seat cover or a snuggle blanket. We also like the idea of using this blanket to photograph monthly growth. Jennifer Ann is a complete brand of baby and children clothing specializing in personalization. They carry personalized blankets, bibs, beanie hats, head wraps, bloomers, dresses, shorts and their newest creation, the footed onesie. 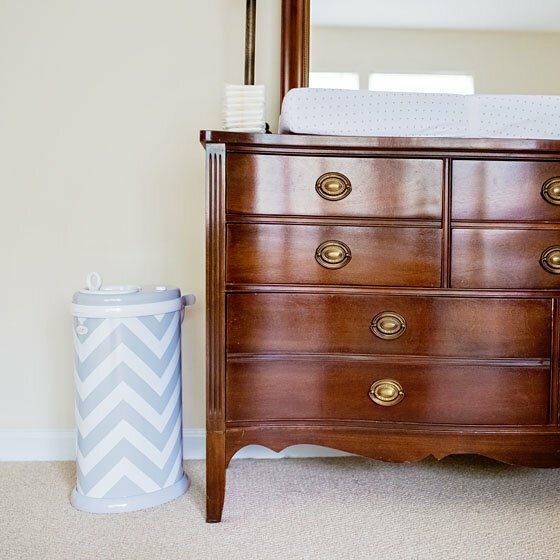 A diaper pail may not seem like an exciting baby gift; however, containing those stinky diaper odors is mission critical to surviving the baby years. You’ll find a number of options at your local baby store – many of which require you to use a specific bag (bags that are sold with a premium price tag). We prefer a little less fuss and found it in the Ubbi Diaper Pail. 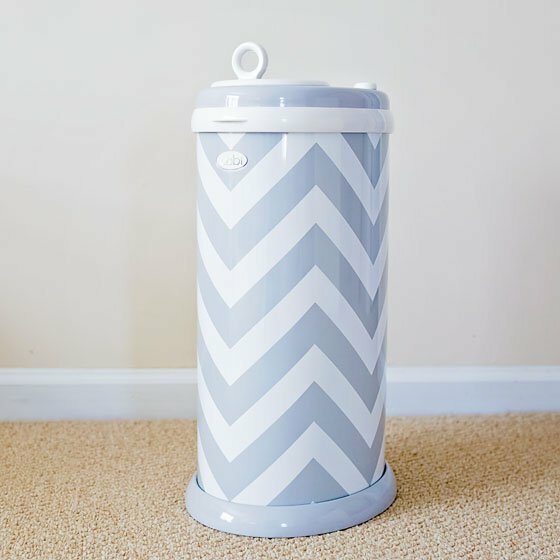 The Ubbi diaper pail is made of powder-coated steel to achieve maximum odor control. It is also equipped with rubber seals that are strategically designed to lock in odors, as well as a sliding lid that minimizes air disruption, keeping the smell inside the pail. To meet the demands of today’s eco-conscious parents, this award winning nursery essential offers the convenience and cost-saving value of utilizing any standard trash bag or reusable cloth liner (Ubbi also offers plastic bags and cloth liners). This feature makes it the easiest diaper disposal system to load, use, empty and clean. Offering a modern and sophisticated twist to an industry standard, the sleek Ubbi diaper pail includes a child-proof lock and is available in an array of 12 colors and 3 limited designs. We love it because it flawlessly fits right into our home decor: all the style without the smell. Ubbi World is a place where innovative products are created with parents and children in mind. 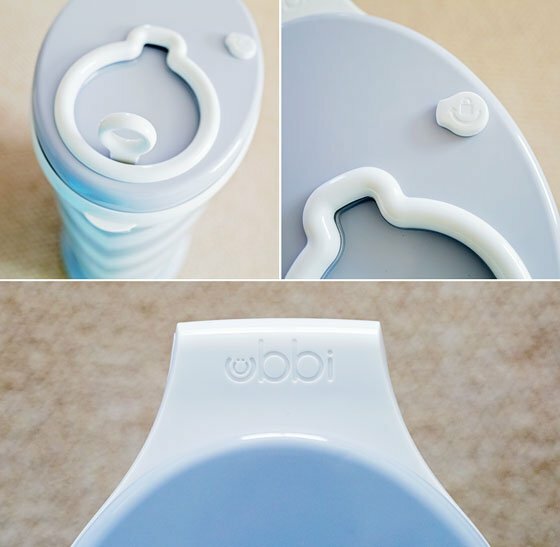 The Ubbi team is dedicated to creating unique, quality products that are designed to be easy to use, helping to simplify parent’s lives while keeping babies happy and safe. From concept to final creation, Ubbi works to bring consumers the best in design and value. 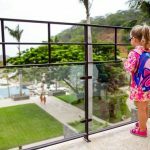 While we are talking diapers, let’s talk diaper bags as well. Don’t get just any bag. 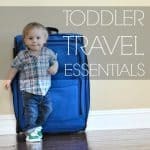 Check out How To Find the Perfect Diaper Bag For You. There’s absolutely nothing better than snuggling your new tiny baby – it’s great for baby, great for mama, helps with bonding and breastfeeding – you really can’t lose (you can even breastfeed while babywearing!)! If you haven’t considered a baby carrier for your baby registry, then think again. 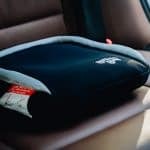 Baby carriers can make this ultimate bonding experience a part of your daily life, and the Baby K’Tan baby carrier is one of our favorite carriers on the market. 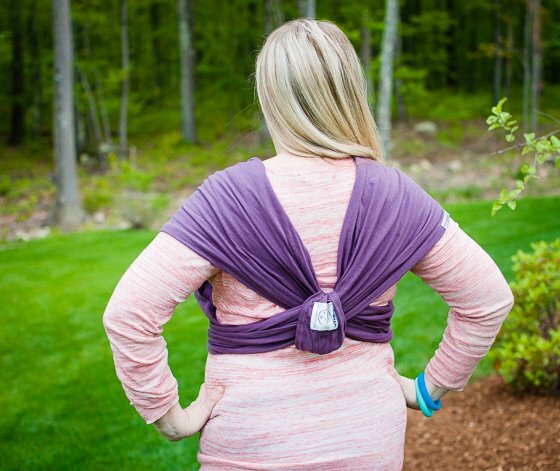 It truly makes babywearing easy, and is a breeze to put on. 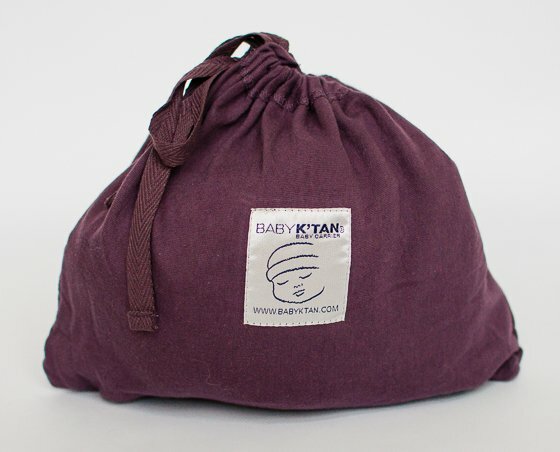 You can get the K’Tan off and on within minutes – much faster than a traditional wrap carrier – though the K’Tan still has the benefits and style of a wrap. If you’re wondering how the K’Tan is different from other types of baby wraps, check out this video that shows how simple it is to use. Within a minute or so, you can slip this carrier on, place your baby in, and you’re ready to go; it’s hands-free babywearing at its finest. With babywearing and the K’Tan, you’re able to get things done around the house, peruse Target in peace, or chase around your baby’s older sibling. Your baby will love being in the K’Tan, snug as a bug and close to your body, hearing your heartbeat and feeling your warmth, which provides the ultimate comfort during the fourth trimester and beyond. And when you’re ready to go, simply pack up the K’Tan in the included pouch, and be on your merry way. Baby K’Tan began in 2007 by two families who had been close friends for years – and they shared the unique bond of each having a child with special needs, along with two other children. Their goal was to create a baby carrier that would help encourage optimal development of their babies, while improving upon ease of use and comfort of the baby carriers that were on the market at the time. 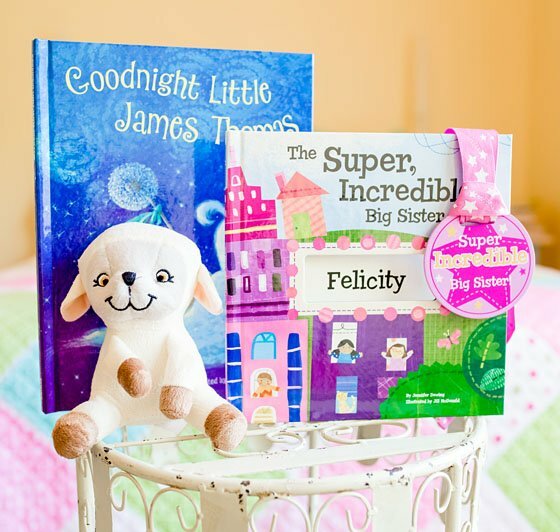 Personalized gifts are a great way to go for both new babies and big siblings, especially if you already have a name chosen; and who doesn’t love a good book! We especially love the idea of getting two books: one for the new baby and one for the big sibling. For your new baby, tuck them in for sweet dreams with this beautifully illustrated personalized goodnight book. Goodnight Little Me will quickly become one of your little one’s favorite bedtime stories. 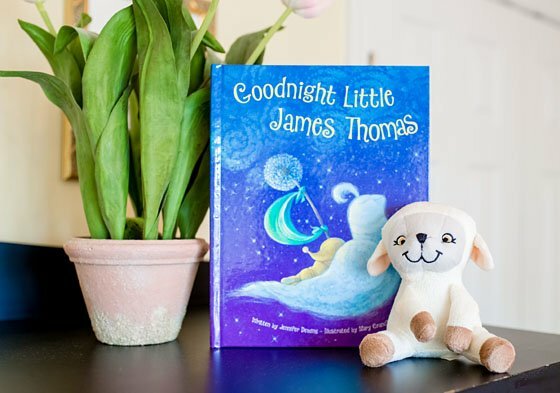 Personalized with his or her name on the cover and throughout the illustrations, Goodnight Little Me features a “goodnight” parade that marches lyrically through your child’s sweet dreams. Sheep come a-leaping, dogs dance in a kick line, crickets chirp and owls hoot-hoot in a beautifully illustrated storybook brought to life by award-winning artist Mary GrandPre and author Jennifer Dewing. As an added personal touch, this whimsical storybook includes the child’s birth date and a printed dedication from the sender (if you have that information available). For the big sibling, we are loving The Super, Incredible Big Sister (also available for big brother). 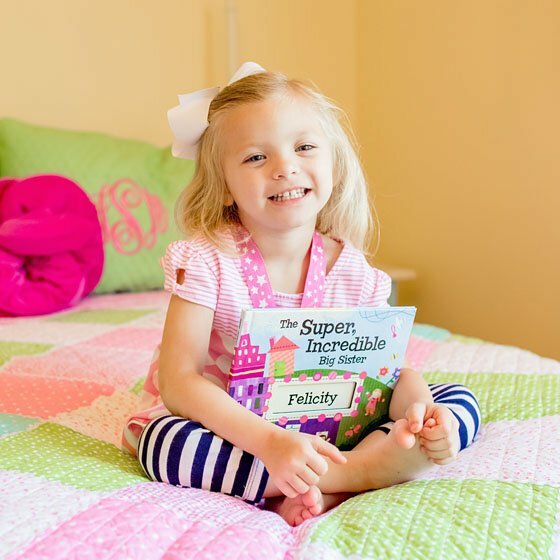 This book comes personalized with big sister’s name and the name of the new baby, and is the perfect gift for big sister as it will reassure her that she is loved and appreciated. It also rewards her for helping out and being a “super star” with her new sibling. Written by award-winning children’s author Jennifer Dewing and illustrated by award-winning artist Jill McDonald, this hardcover book is an adorable, whimsical and fun-filled personalized story and comes with a coordinating Super Incredible Big Sister award medal with a place on the back of the medal to write the proud sister’s first name! i See Me opened for business in May of 2000, after a year of active product development. From that point forward, they have provided the highest quality, most personalized children’s books available. In fact, they are currently celebrating their 15th year with a special edition of their very first book… 15th Anniversary Edition: My Very Own Name. In addition to their adorable personalized children’s books, they also offer Lunch Boxes / Puzzles / Coloring Books / Placemats / Stickers and Growth Charts! When it comes to multi-purpose products that make life with a newborn easier, it’s definitely on our list of registry must-haves! Nursing is a magical bonding experience for you and baby, but finding a stylish cover can sometimes be difficult — some have large wire hoops at the top, some simply don’t cover much, and some are just more of a hassle to dig out and put on. So, finding one that is soft, cradles baby, and also transforms into a stylish scarf, a car seat cover, and a shopping cart cover is a dream come true! We love that Dressed to Deliver’s 4-in-1 Babe Cover is everything we could use on a daily basis, all beautifully wrapped into one — the perfect gift! With maternity fashion making a huge splash in the fashion design world, why wouldn’t we want to continue that sense of style postpartum? 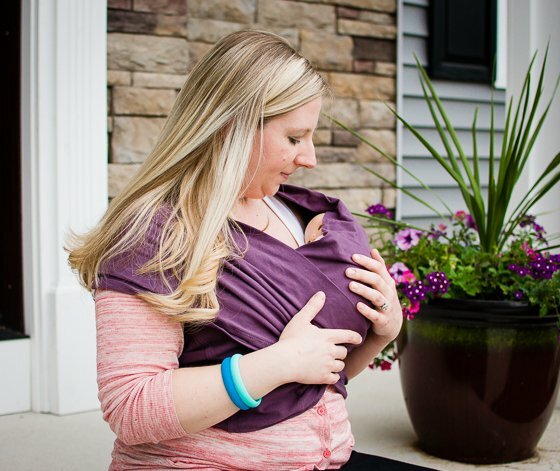 The 4-in-1 Babe Cover from Dressed to Deliver provides a modern look for both mom and baby, whether it’s being worn as a scarf, a shawl for nursing, or blocking the sun for a baby snuggled in its car seat. 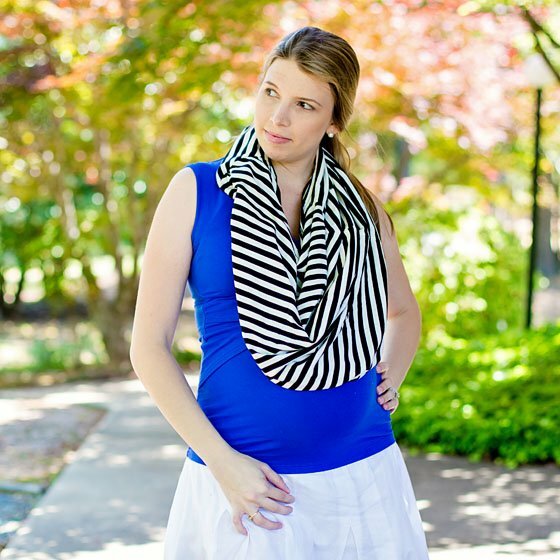 Featuring a classic black and white stripe design, the cover is made of super-soft, stretchy, and breathable bamboo material that works well with almost any outfit. Simply looping the cover around your neck provides for a draping scarf effect, and when needed to cover baby while nursing, simply pull down over the shoulder and slide baby in with ease. The draping of the cover naturally stretches around baby, cradling him in a perfect little nook. When out and about running errands, the cover easily slips over a car seat to block weather elements — sun, rain, and wind. By slipping the keyhole around the car seat handle, baby can easily be carried anywhere, and mom gets a good peek of baby at any time. The breathable fabric allows air to flow through and provides a quiet, dimly-lit space for baby to rest. 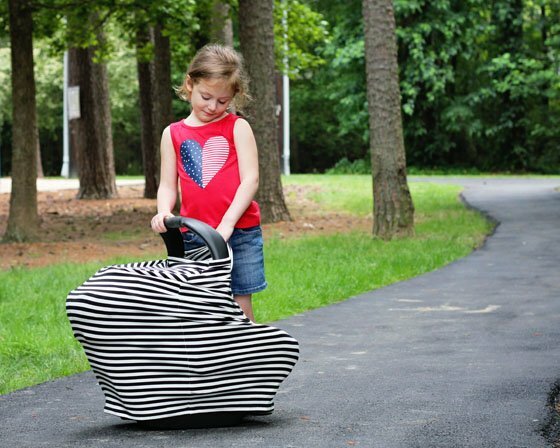 As your baby grows, the cover also transforms into a shopping cart cover, perfect for protecting your little one from the dirt and germs found on the average shopping cart – a must-have registry item list from most pediatricians, especially during cold and flu season. From pregnancy to nursing and beyond, the 4-in-1 Babe Cover will be a beloved baby gift for any mama-to-be! Dressed to Deliver was started by a mom who quickly discovered that hospital gowns for delivery were not pretty, nor were they practical. Thus, their best selling 3-in-1 birthing gown was created, giving laboring moms a better birthing experience. From stylish birthing gowns to a new modern nursing cover, Dressed to Deliver makes sure that mom’s comfort is first and foremost during those most precious moments. 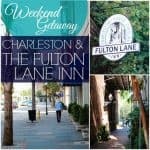 If you or the expecting mom is anything like us, she’ll find herself looking for ways to get out of the house with the kids so they can enjoy a change of scenery and fresh air. However, when you get to where you’re going, you certainly don’t want your children crawling all over a dirty, germ-encrusted floor. With that in mind, we really love the idea of giving new moms a Monkey Mat. Monkey Mat’s Portable Floor (as seen on Shark Tank) is a large, clean surface you can take everywhere in an attached ultra-compact pouch that is perfect for indoor and outdoor use. No longer do your kids have to play on a dirty floor (unless you want them to) or for you to haul a big heavy blanket with you for a day out. 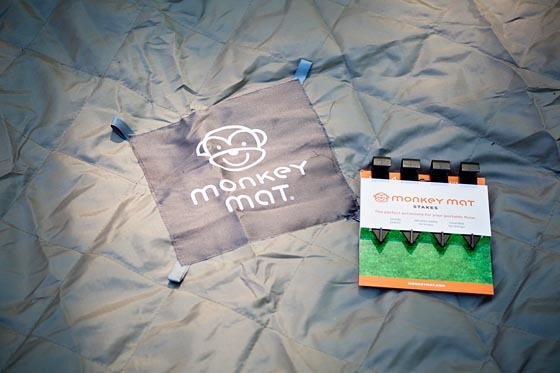 Anyone with kids will enjoy the Monkey Mat as it’s perfect for picnics, day trips to the beach, concerts, hiking, camping, sports events, under high chairs, over dirty picnic tables, home, hotel, travel and more. While we feel that a water repellent and machine washable blanket for kids is a necessity, we are also loving that the Monkey Mat has weighted corners along with loops that allow you to secure the blanket with stakes (sold separately), and center loops for attaching toys. Furthermore, with its attached pouch, there’s nothing separate to keep track of for storage and portability. The easy buckle strap secures to any diaper bag, pocketbook, backpack, cooler, stroller, etc. so it doesn’t require any additional space inside your bag, or it can easily be stashed in your vehicle’s trunk for convenience. Founded in 2012, Monkey Mat is a women-owned company dedicated to bringing to market innovations inspired by life. Co-Founders Christie Barany and Courtney Turich have a collective 25 years of experience in innovation, sales and marketing across medical device technology, broadcasting and finance industries. After an exciting Shark Tank swim in April 2014, Monkey Mat proudly welcomed Mark Cuban and Lori Greiner as partners to their team. 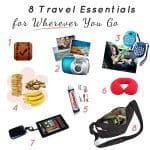 Their mission is to continue providing simple solutions to everyday problems through products that offer the ultimate in portability, versatility and functionality. New parents spend entirely too much time at the changing table, even though the task of changing a diaper doesn’t really require that much energy. The time we spend unbuttoning or unzipping those adorable baby outfits really adds up. With that in mind, we believe that the gift of a magnetic gown or footie from Magnificent Baby will not only keep your baby looking sweet, but will also give parents more time to kiss and hug on their sweet new baby. Interestingly enough, when it comes to baby showers, we find that a lot of party guests prefer to buy clothing for 0-6 months of age. For those guests, Magnificent Baby offers a newborn gown (seen here in Yoga Monkey) with their time saving Smart Close magnetic fasteners and a “no over the head” design that will have newborns dressed in a jiffy while significantly reducing their exposure to the chilly air. The mitten cuff with fold-over detail keeps baby from scratching himself, while the elastic bottom provides added warmth and comfort. We especially love this gown for night changes as most of us are way too tired to deal with buttons or snaps. 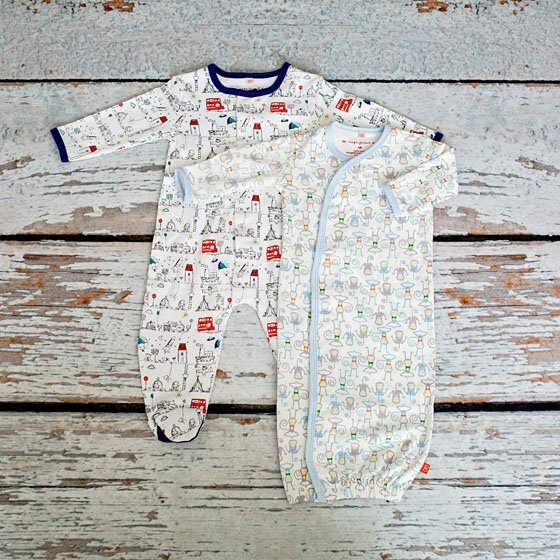 For those baby shower guests who are brave enough to buy larger sizes (and we really encourage guests to buy a little larger), we love Magnificent Baby’s footies. Much like the gowns, these adorably designed outfits feature Smart Close magnetic fasteners that get baby dressed faster than Clark Kent can turn into Superman! Not only do these footies solve the problem we’ve found with every other footie pajama, but we love how the prints are humorous and modern with a lean towards hipster. No more dreaded night changes – simply open outfit, insert baby and the outfit practically dresses itself! Who doesn’t love that? Smart Close magnetic technology gets baby dressed in seconds! Co-founders Lauren Levy and Lawrence Scheer launched Magnificent Baby six years ago, leaving corporate America with the single goal of making life easier for as many parents and babies as possible. After struggling to put a Velcro bib on her nephew and then seeing him cry from the Velcro ripping out his fine baby hair, Lauren thought, why not a magnet which would be more gentle and fasten itself? Two years later, after vigorous research and development, Magnificent Baby® came to market with a full line of infant wear to critical acclaim. If there’s one thing moms love to do, it’s taking photos of their baby’s first moments. And let’s be honest, there’s a first time for everything! 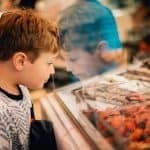 A visit to the museum or the zoo, eating at a restaurant, going to the movies or a sports game, first time on a boat or in the snow. 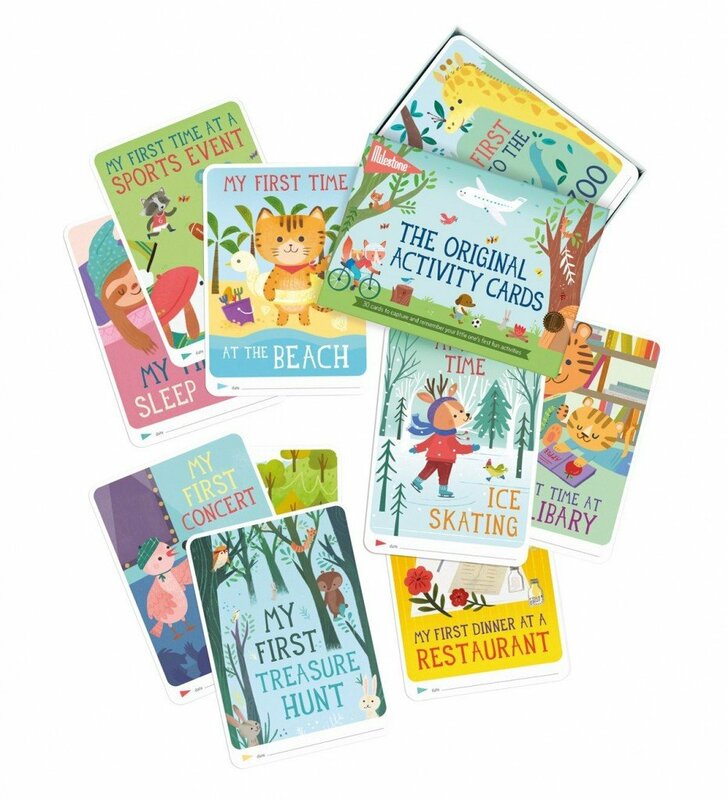 Give the expecting mother the gift of being able to capture, remember and share all those special moments with the Original Activity Cards by Milestone. This set contains 30 cards with things to see and do together with your little one as well as a little poster with all of the cards. Includes a gift box of 30 photo cards for the first visit to the zoo or museum, eating at a restaurant, going to the movies, visiting a sports game and more! Milestone makes sets of photo cards to capture and remember special moments that make you smile. The idea came from Dutch mom Gemma Broekhuis who wanted to capture the first time her son Mikkel rolled over. She wrote a card, added the date, and took a picture of her son with it. She did the same when he slept through the night, crawled, ate his first solid food, etc. Realizing how precious those pictures were and how easy it is to forget those key moments, she decided to turn her idea into a product: the Milestone Baby Cards. The first sets of Milestone Baby Cards were ready in May 2012. Today they are sold in 12 languages in 37 countries with new parents enjoying them every day. Since then, they have created the following products to compliment the Milestone family: Pregnancy Cards, Mini Cards, Twin Baby Cards and the Toddler/Junior Cards. Baby food storage may not be the first thing on your mind as you’re planning for that little bundle of joy, especially since giving your baby solids isn’t recommended before 6 months of age; but finding a good storage container that meets all the demands of motherhood will quickly become a priority for expecting moms. With that in mind, we love the idea of giving a mom-to-be this baby food freezer tray by Kiddo Feedo. Making your own baby food in batches doesn’t have to be difficult – some moms just don’t know where to start. Kiddo Feedo makes it simple by offering a convenient, safe and innovative way to store homemade baby food (and just about anything else you’d want to freeze or store, including breast milk). Just blend up a bunch of food and fill up the tray. Secure the lid and place it in the freezer. Once frozen, you can transfer the cubes into a ziplock bag and you’re done! 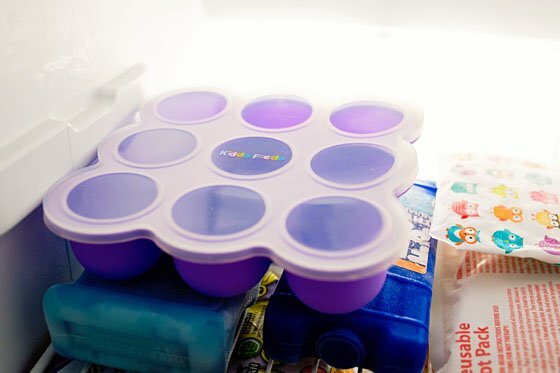 Unlike many other storage containers, the Kiddo Feedo freezer tray is made of FDA approved premium quality food-grade silicone which is naturally bacteria resistant and free of any BPA’s, phthalates, PVC, latex, lead, nitrosamines or other toxins that can leak into your baby’s food, meaning that it’s 100% baby safe. 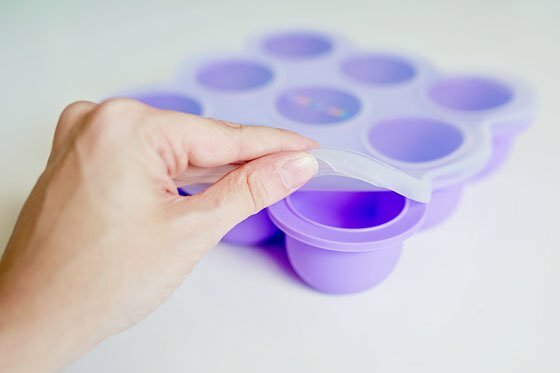 Furthermore, the silicone won’t stain or gain scuffs and scratches over time like plastic baby food containers can do, and the tray is safe to use in the freezer, oven (up to 460°F), microwave and dishwasher. The generous 2.6 oz pods are the perfect size for growing babies – easy to fill and easy to remove. You can fill the pods up half-way early on and work your way up to full as baby gets older. 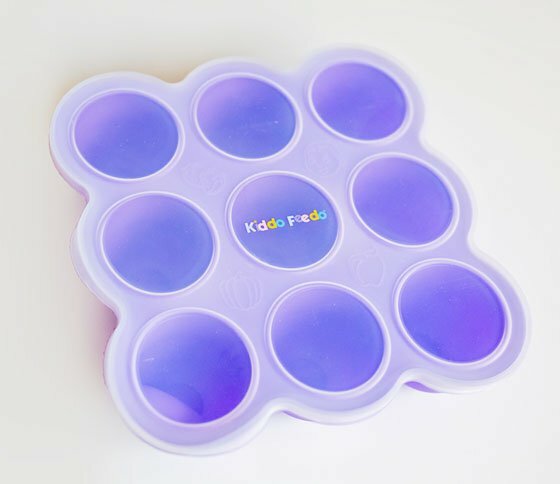 And with the wide, round shape of each pod and the sturdy base of the tray, pods release individual portions with minimal effort for fewer spills and messes. Paired with a baby food maker (or not), this baby food freezer tray would make for a great baby gift. Kiddo Feedo’s mission from day one has been to make day-to-day life easier for parents of small children by offering convenient, safe and innovative feeding products of the highest quality. They believe that you shouldn’t have to buy a bunch of products when your children are little. Rather, just a few products that work, serve a good purpose and will last a long time. We hope you loved our top picks for your baby registry. For more great product recommendations, check out Discover!